Without a doubt, one of the most significant challenges confronting Nigeria is corruption. The stealing of public funds by persons entrusted with public offices and other forms of mismanagement of public resources has unfortunately become a key reference point when Nigeria is in the conversation. By some estimates, up to 80% of public revenues end in the private accounts of less than 1% of Nigerians who are linked to the structures of political power. In the Niger Delta region where most petroleum exploitation takes place, widespread corruption has ensured that most residents in the urban areas and rural communities live in poverty and misery. Countrywide, about 70% of Nigerians live in poverty, as a result of corruption. Consistently on global corruption index, Nigeria ranks as one of the most corrupt countries on earth. The cost of corruption reflects in public institutions that cannot deliver services, dwindling standards of education, international disrepute and embarrassing beggarliness. 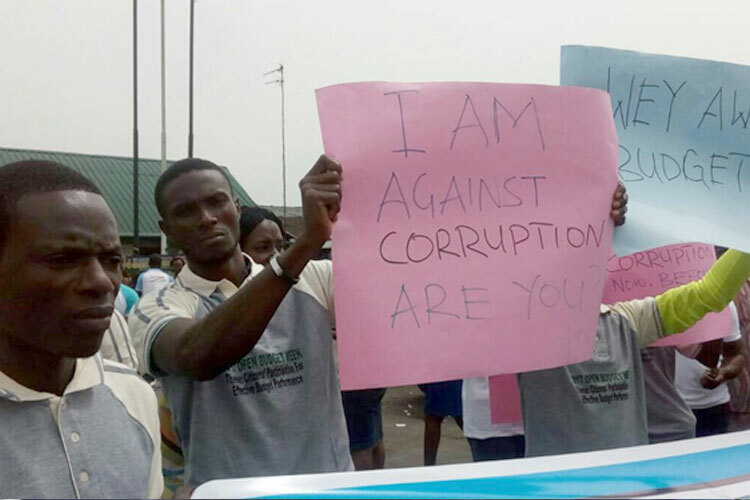 Social Action’s response to this problem is a regional anti-corruption campaign aimed at ensuring that those responsible for addressing corruption, do their jobs and that corruption is criminalised in Nigeria. 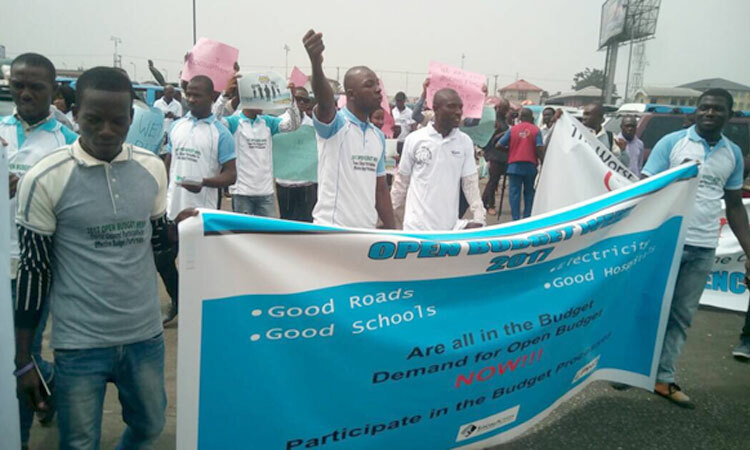 The anti-corruption rally which held on the 11th of December 2017 at the Mile 3 Motor Park in Port Harcourt City purposed to create awareness about the problem of corruption leveraging on the 2017 global Anti-Corruption Day and recruiting volunteers for a mass anti-corruption movement which is grassroots-driven and benefits from information and supports citizens. The rally which was organised in conjunction with the local branch of the National Union of Road Transport Workers featured speeches, distribution of flyers and stickers as well as a march around the Park. 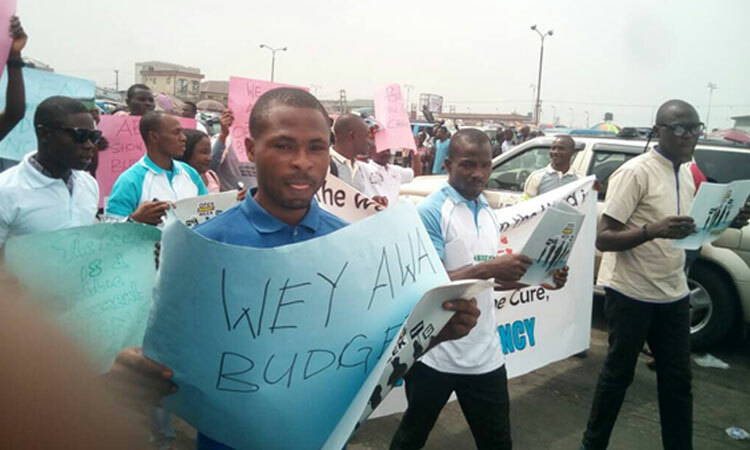 Alongside the building of awareness, the rally created the opportunity for Social Action and other partners to mobilise volunteers for an anti-corruption movement being established. At the rally, 103 persons enlisted to join the Anti-Corruption movement.